Montalvo Arts Center | News | 3rd Richard Thompson show added, the many facets of Shakespeare, and more! 3rd Richard Thompson show added, the many facets of Shakespeare, and more! Starry Starry Night: Art & Astronomy Slumber Party - SOLD OUT! We hope you're a fan of William Shakespeare, because the Bard is making his appearance in a variety of forms at Montalvo in the coming months. First, don't miss our run of six performances of Twelfth Night, by Shakespeare Santa Cruz, in the beautiful outdoor Lilian Fontaine Garden Theatre from September 8-16! Disguised as a man, a young woman gets caught up in a love triangle, and the ultimate case of mistaken identity ensues in this beloved comedy directed by Marco Barricelli. He describes this modern interpretation as "Tim Burton meets Cirque du Soleil meets steampunk." Don't miss it! What would a jazz version of a Shakespeare play sound like? 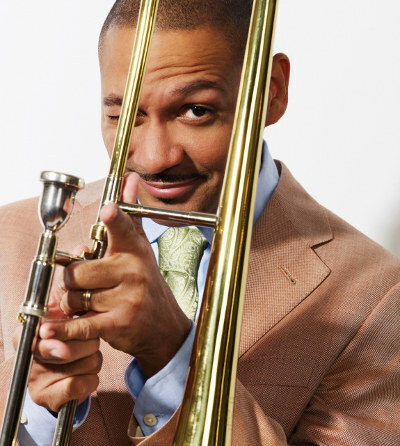 Find out on Saturday, October 13, at 8pm, as the Delfeayo Marsalis Octet performs Such Sweet Thunder! Composed by Duke Ellington and Billy Strayhorn, Such Sweet Thunder is a musical depiction of themes and characters from many of the Bard's plays. Now, these jazz classics have been newly orchestrated by Marsalis to bring an exciting, contemporary feel to the music. Be sure to join us before the concert for Martini Madness! Lastly, can the bard's comedic style influence a cultural critique of American politics? You bet! 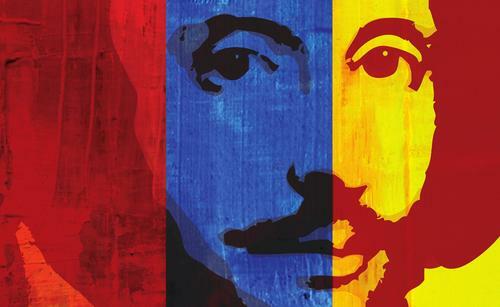 The Reduced Shakespeare Company presents The Complete History of America (abridged) on Saturday, October 27, at 8pm. Known for their hilarious, abridged versions of Shakespeare's plays, Reduced has branched off into a fast-paced, comedic take on American history that takes us from our not-so-humble beginnings into modern politics - including the 2012 Presidential race between Barack Obama and Mitt Romney. It's "what The Daily Show might be like if it were hosted by the Marx brothers" (Boston Herald). Loosen up to start the evening with Martini Madness! Tickets for these and many other shows are available through the Montalvo Box Office at 408-961-5858, 10am-4pm Monday-Friday, or online at ticketmaster.com. Centennial Summer Luncheons - SOLD OUT! 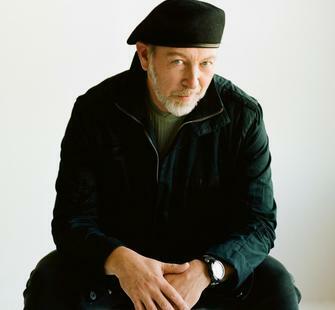 Due to popular demand, we have added a third special all-request show by Richard Thompson in the intimate Carriage House Theatre on Sunday, December 9, at 7:30pm. This legendary guitarist is a favorite at Montalvo, and his other two concerts, on December 7 and 8, are nearly SOLD OUT, so these tickets go fast! Tickets are $50 for the best seats or $45 for general admission (Members: $45/$40). Until next week, these tickets are only available through the Montalvo Box Office at 408-961-5858 10am-4pm Mon-Fri. Purchase yours today! Have you ever wanted to create your own pottery? Join our Montalvo Education & Programs Coordinator (and talented ceramicist) Charlee Wagner in our new outdoor Creekside Studio as she teaches a 5-week Hand-built Pottery & Raku Firing course this fall. Open to adults and kids of all ages and experience levels, this class will run every Tuesday from 3:30-5:30pm, September 25-October 23. Registration includes clay, glaze, and firing. Raku involves firing clay at a high temperature, removing it, and placing it on a bed of natural materials (leaves, saw dust, pine needles). Smoke from the natural materials imprint designs on the pottery, creating beautiful art pieces. 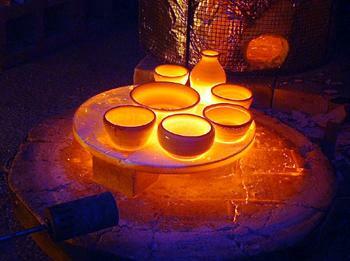 Participants will learn the raku process and bring home their own handmade works! Register for this class by calling the Box Office at 408-961-5858 10am-4pm Monday-Friday. 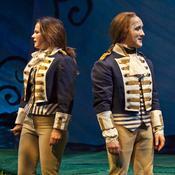 For more information, emailing Charlee Wagner at cwagner@montalvoarts.org. Rock the Garden & Circus Bella! div>one of several sculptures on view at Rock the Garden. We had a busy July here at Montalvo, with two successful events on the grounds: Rock the Garden, our Sculpture on the Grounds Opening Celebration on July 20, was a wonderful community event celebrating innovative and interactive art works that engaged visitors of all ages; on July 29, Circus Bella arrived and guests were treated to an incredible performance, while families juggled and hula hooped on the Great Lawn. Take a look at our Facebook photo albums for both of these events! Click here for Rock the Garden; click here for Circus Bella. And don't miss out as we continue to celebrate in August and September with our cosmos-themed Starry, Starry Night Art & Astronomy Slumber Party on Friday, August 10 and the 1920s-inspired Great Gatsby Gala on Saturday, September 22.